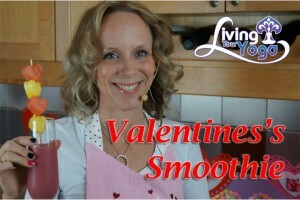 In honour of Valentine’s Day tomorrow we are going to make a super adorable smoothie for your Valentine. This is a simple smoothie that tastes wonderful and looks fabulous too. 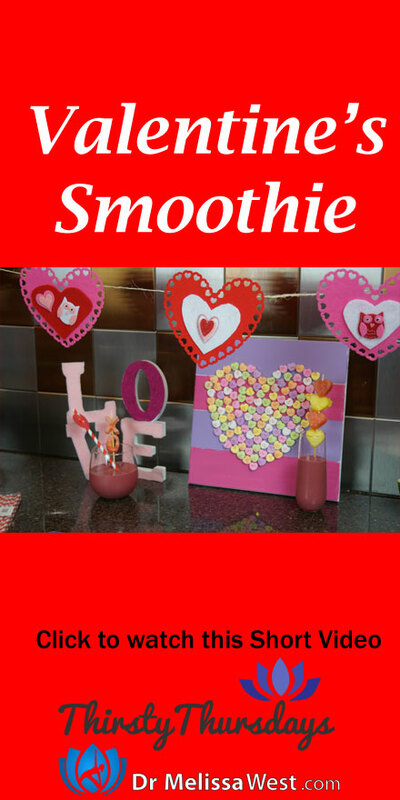 For this smoothie you will need some kebab skewers, heart shape, x and o cookie cutters, some red frozen fruit (strawberries, raspberries, or cherries – whatever your valentine prefers), a banana, non-dairy milk, protein powder (either berry or vanilla) and maca powder.